Δελτίο τύπου: «Q5 "Steel The Light" taken from the No Remorse Records album "Steel The Light" (2018). Dynamic mastering by Bart Gabriel. Q5 "Steel The Light" to be reissued by No Remorse Records. Q5 is a Seattle, Washington, based band formed in 1983 and their music is a blend of hard rock, melodic and straight-forward heavy metal. 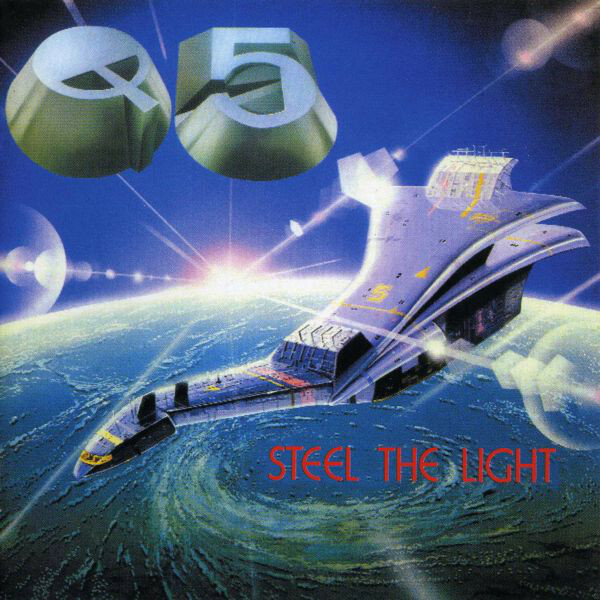 "Steel The Light", originally released in 1984, is one of the classic U.S. metal albums of the 80s including all-time favorite songs like "Lonely Lady", "Pull The Trigger" and "Steel The Light". The reissue will include all the classic tracks of the original release plus never-before released bonus tracks and thick booklet with many photos and new liner notes. The album will be available in July 2018 on CD, LP and limited deluxe box set (featuring both the CD, LP and an exclusive t-shirt). To celebrate this long awaited re-release, the band will head out this August on a full European tour, in which the band will play "Steel The Light" in its entirety, as well as other favorites from "When The Mirror Cracks" and "New World Order".